Although many people argue that homeownership is overrated, there are many reasons it’s time to stop renting and start buying a house. There has never been a better time to take advantage of the current mortgage rates. I know, it can be a bit scary to own your property and be responsible for its maintenance, but this should not stop you. Check out a few good reasons to stop renting and start buying a house. When you pay rent each month, you build the equity of your landlord. And after moving, you don’t see this money. 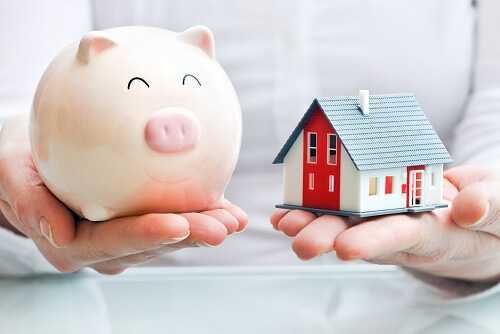 Rather than paying your landlord’s mortgage every month, put the money toward your own house. Start making some moves and make homeownership a reality. Raise your credit score to qualify for mortgage, and increase your savings to make a down payment. Think over the amount of equity you can build in 5, 10 or 20 years. Equity is the difference between the current value of your house and the amount you owe on it. Equity builds when you pay down your home loan and your house appreciates. The more equity you have in your home, the more money you can get. If you have a sufficient income and high credit score, there’s no reason to throw away your money on rent each month. Buying a house is not a complicated process. Your agent will guide you through this process. Apply now for a mortgage and you are one step closer to homeownership. Today’s historically low mortgage rates won’t last forever. So if you want to buy your own house, purchase it now and get lower mortgage rates. Moreover, low rates will help you to qualify for a higher mortgage loan. You can get a big home for your money. When you rent a house, your landlord determines how much you should pay each month, and he/she can increase the rent any time. But when you get a fixed rate mortgage loan, you have stable payments for as long as you live in the house. You shouldn’t worry about rent increases and move because of a higher rent payment. Homeownership is the right definition of stability. Okay, you like your rental, but you might be so tired of your landlord. Maybe your landlord visits the house unannounced and schedules unexpected inspections. Or perhaps your landlord doesn’t make needed repairs or maintain the house. If you are a renter, this can be really frustrating. When you rent a house, only your landlord decides what you can do inside the home. Most landlords limit the amount of holes you can put in walls and forbid to change the wall color. You are not allowed to decorate or design the house. Buy your own house and you can do whatever you want to it. If you are looking to buy a house, it is the right time to apply for a mortgage. Do you have other reasons to stop renting and start buying a house? Share your thoughts, please!